Somebody attending college in 2007? 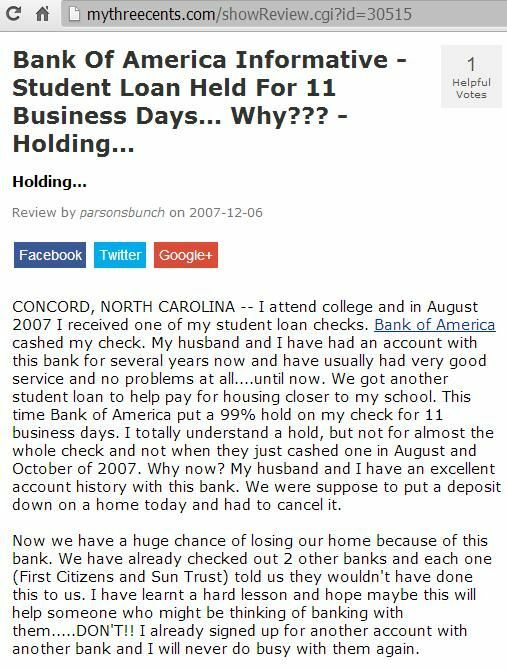 Bank Of America Informative - Student Loan Held For 11 Business Days... Why??? CONCORD, NORTH CAROLINA -- I attend college and in August 2007 I received one of my student loan checks. Bank of America cashed my check. My husband and I have had an account with this bank for several years now and have usually had very good service and no problems at all....until now. We got another student loan to help pay for housing closer to my school. This time Bank of America put a 99% hold on my check for 11 business days. I totally understand a hold, but not for almost the whole check and not when they just cashed one in August and October of 2007. Why now? My husband and I have an excellent account history with this bank. We were suppose to put a deposit down on a home today and had to cancel it. Now we have a huge chance of losing our home because of this bank. We have already checked out 2 other banks and each one (First Citizens and Sun Trust) told us they wouldn't have done this to us. I have learnt a hard lesson and hope maybe this will help someone who might be thinking of banking with them.....DON'T!! I already signed up for another account with another bank and I will never do busy with them again. 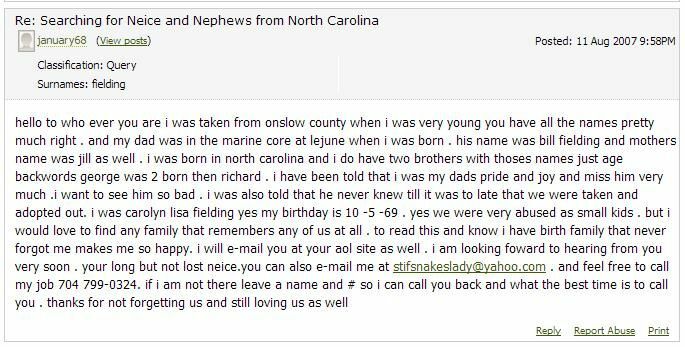 Query Text: "i am in search of my birth parents or any family i was taken fromonslow county for abuse and put up for adoption . my dad was in the marine core (camp lejune ) at the time of my birth 10-5-69 his name was bill fielding . my moms name was jill . 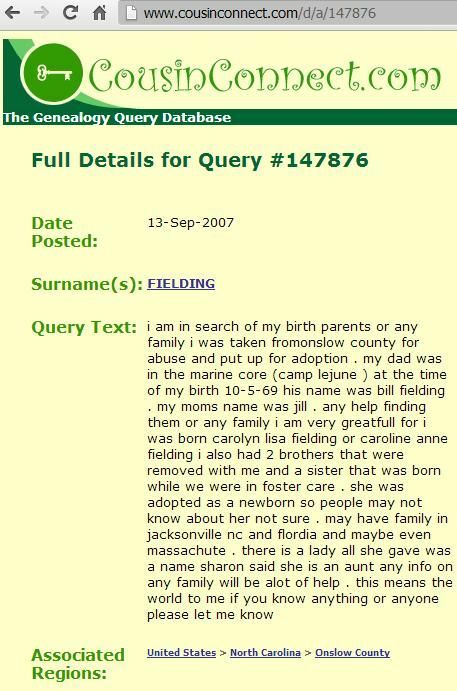 any help finding them or any family i am very greatfull for i was born carolyn lisa fielding or caroline anne fielding i also had 2 brothers that were removed with me and a sister that was born while we were in foster care . she was adopted as a newborn so people may not know about her not sure . may have family in jacksonville nc and flordia and maybe even massachute . 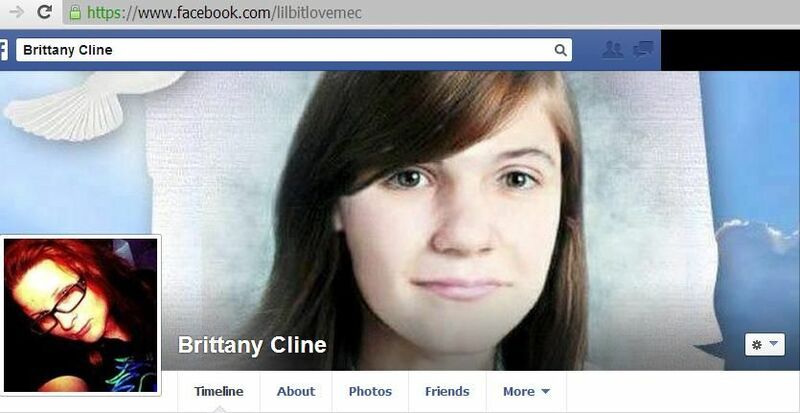 there is a lady all she gave was a name sharon said she is an aunt any info on any family will be alot of help . 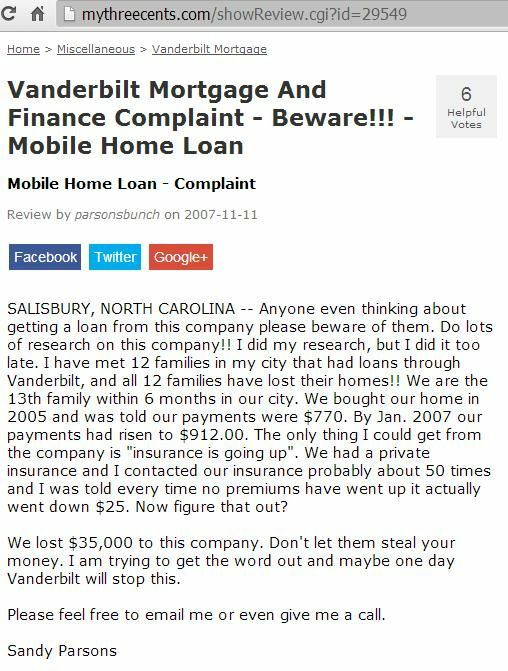 this means the world to me if you know anything or anyone please let me know"
SALISBURY, NORTH CAROLINA -- Anyone even thinking about getting a loan from this company please beware of them. Do lots of research on this company!! I did my research, but I did it too late. I have met 12 families in my city that had loans through Vanderbilt, and all 12 families have lost their homes!! We are the 13th family within 6 months in our city. We bought our home in 2005 and was told our payments were $770. By Jan. 2007 our payments had risen to $912.00. The only thing I could get from the company is "insurance is going up". We had a private insurance and I contacted our insurance probably about 50 times and I was told every time no premiums have went up it actually went down $25. Now figure that out? We lost $35,000 to this company. Don't let them steal your money. I am trying to get the word out and maybe one day Vanderbilt will stop this. Please feel free to email me or even give me a call. "Unfortunately Vanderbilt Mortgage does not negotiate once the loan becomes delinquent. They will only accept a full reinstatement or they will foreclose." Anyone even thinking about getting a loan from this company please beware of them. Do lots of research on this company!! I did my research, but I did it too late. I have met 12 families in my city that had loans through Vanderbilt, and all 12 families have lost their homes!! We are the 13th family within 6 months in our city. We bought our home in 2005 and was told our payments were $770. By Jan. 2007 our payments had raisen to $912.00. The only thing I could get from the company is "insurance is going up". We had a private insurance and I contacted our insurance probably about 50 times and I was told every time no premiums have went up it actually went down $25. Now figure that out? We lost $35,000 to this company. Don't let them steal your money. I am trying to get the word out and maybe one day Vanderbilt will stop this. Please feel free to email me or even give me a call. Somebody complained about Bank of America and receiving a student loan check?